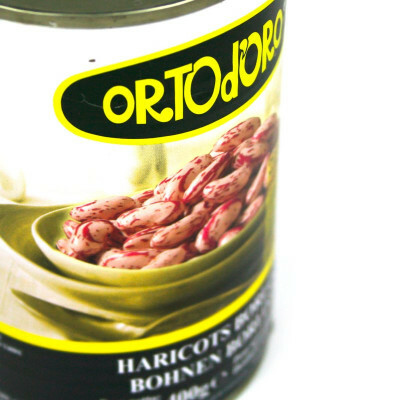 Convenient, delicious and cooked Borlotti Beans! They just need to be drained and rinsed! 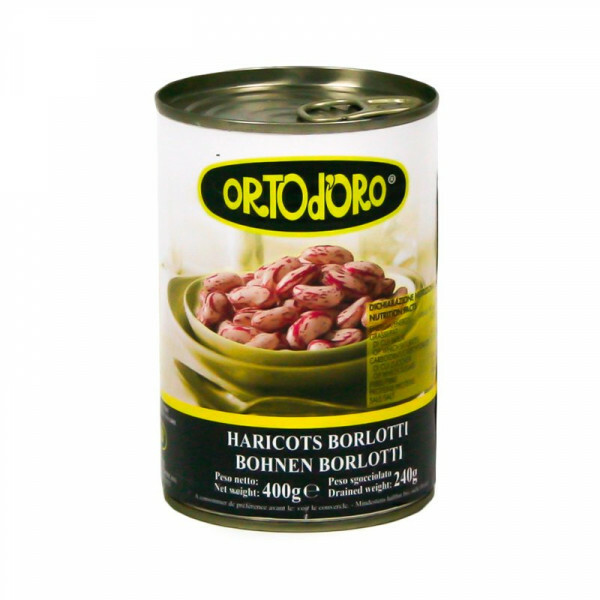 Borlotti beans are widely used in Italian cooking and have a meaty, chestnut, sweetish flavour with a smooth creamy texture. They work well in salads and casseroles. As long as the beans are cooked gently and seasoned properly there isn't much that needs to be done to them. Borlotti have such a delicate but distinct flavour they hold their own as well with steak as they do plaice. Borlotti Beans make the best beans on toast. but are also always happy in a soup. Borlotti beans, walter, salt, ascorbic acid.